Picking the right undergraduate accounting employer is hugely important to your long term career success. How does a particular company align with your values, what opportunities do they offer, and how will future employers perceive the experience? There are a couple of main types of employers for accountants, with overlap amongst them. Each one will provide you with different opportunities and advantages. The first main decision is whether or not you go to one of the Big 4 accounting employers. These are Pricewaterhouse Coopers (PwC), Deloitte, Ernst & Young, and KPMG. These 4 accounting firms perform the majority of the audits of U.S. corporations and wield a ton of influence in the industry. The Big 4 accounting firms employ thousands of accounting undergrads and are a great place to get your first accounting job. They give you the option to work in a variety of different industries, get advanced experience, and explore different types of accounting. The downside is you are locked into a certain career track, set by management, and not necessarily by your interests. As an alternative to the Big 4, you can pursue a career with smaller public accounting firm. 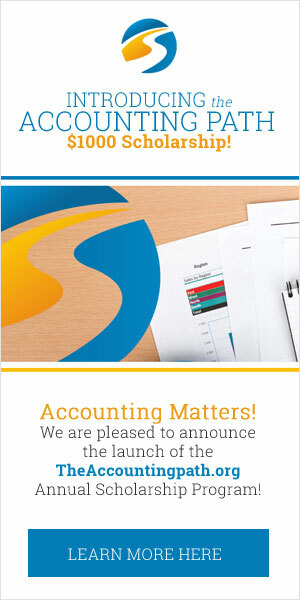 Here at The Accounting Path, when we talk about “Small Accounting Firms”, we have a pretty broad focus. It includes medium size accounting firms like McGladrey and Grant Thornton (who sit just outside the “Big 4”) through to smaller up-and-comers like O’Connor Davies and Yeo & Yeo. These firms provide a similar, diverse set of experiences to Big 4 opportunities but often in a smaller office with less travel. You’ll still be serving lots of clients in different industries and getting great experience. You can also go and work for private companies, including everyone from your local grocery store to huge businesses like Coca Cola or Microsoft. This career path is very different experience to working with a public accounting firm, but by working for the right business you can get great accounting career opportunities. At a private company you still have the ability to choose a field and get deep into an area of specialization and really drive results. This is how you become an expert in a particular field, and help a company solve the unique and often complex issues that face their business. Lastly there is the option of going independent and being your own boss. These jobs will lean more towards the tax end of the spectrum as most audit work is done by one of the larger firms. However, often people need more career experience to set up their own independent operation, so this may stop #2 in your career path after first working for a different public accounting firm. Our Career Paths page goes into detail about how each type of accountant can work in each of these different employers.